Our week away from the tour was filled with shopping, golfing, canoeing and oh yes yummy meals. My in-laws are amazing, not only did we take over one of the bedrooms in their house but they both took time off work to spend the day with us. I don’t think that either of our parents mind helping us out. Josh’s folks are enjoying some of our furniture and my mom is loving the boxes of kitchen gear she can play with. It’s nice to come here for a visit, we sleep in our own bed, Pippi in her crate and all those extra goodies we have around. My box of shoes and the fun clothes I don’t take on tour. Josh spends lots of time relaxing on the couch and watching TV, that perfect comfy couch he has logged so many hours on. 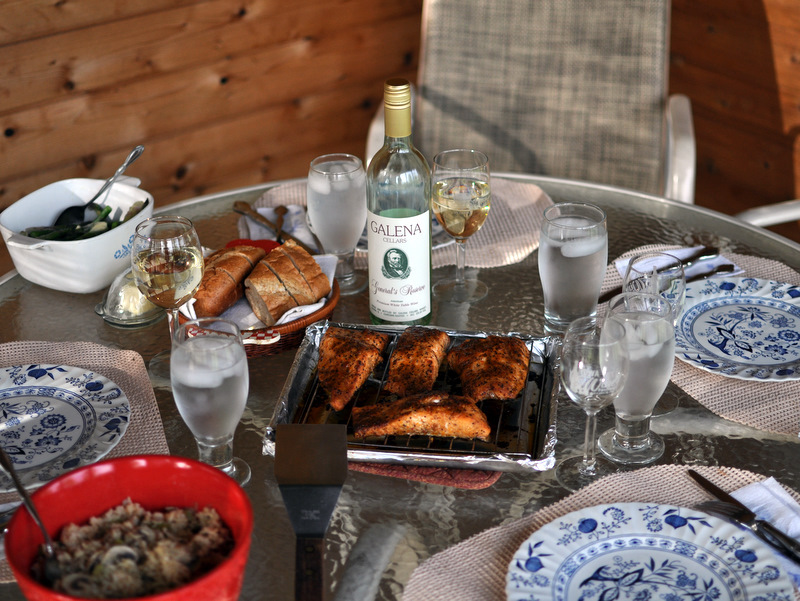 My mother in law is has a wonderful talent for creating delicious meals in what seems like seconds, her finesse prepared items and simple seasoning just amazes me. 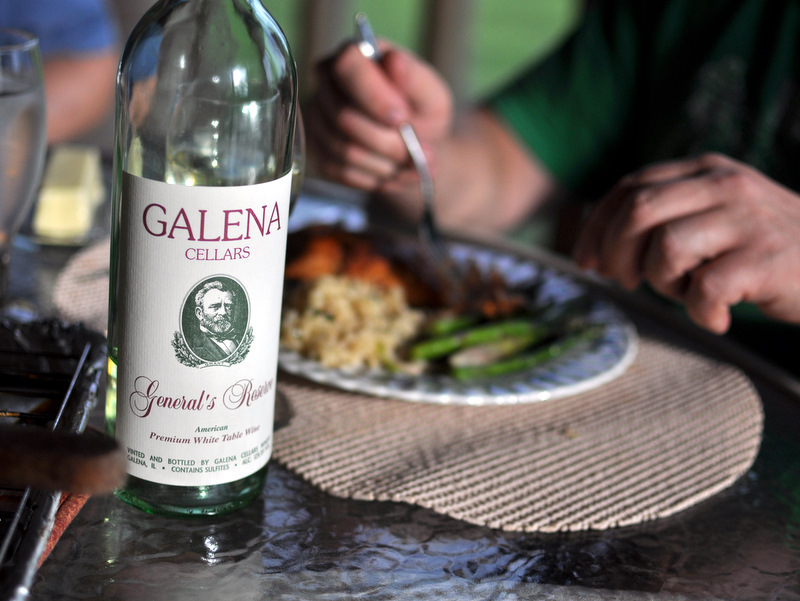 I added a bottle of wine from Galena Cellars. They make a peach wine that is just divine, it’s hard not to pick up a few bottle when we are in town. The name of this one drew me in, General Reserve, a nod to General Grant. He has a special place in our lives, we got engaged under a statue of him. It was also at him monument in DC that we did one of the coolest shows ever.